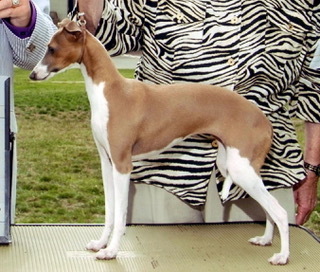 Lilian Barber is the breeder of La Scala Italian Greyhounds, an AKC Judge, and author of the "bible" on Italian Greyhounds. An avid opera lover, La Scala pays homage to Italy and the art of opera. 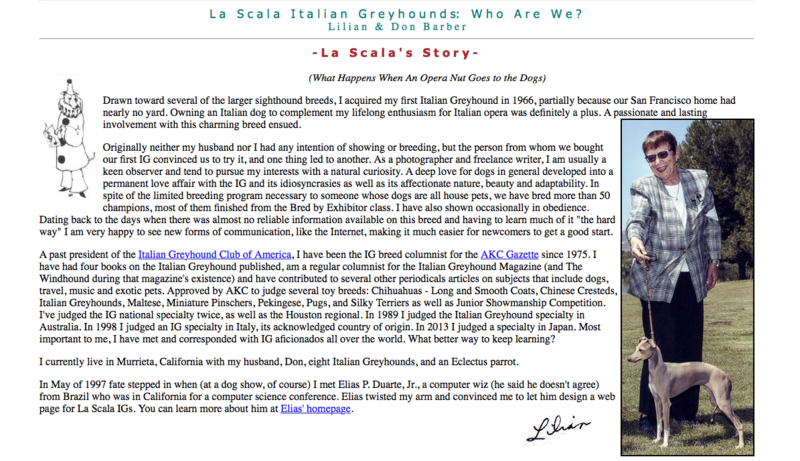 Her website lascaliaigs.com is a treasure of Italian Greyhound history and photographs. 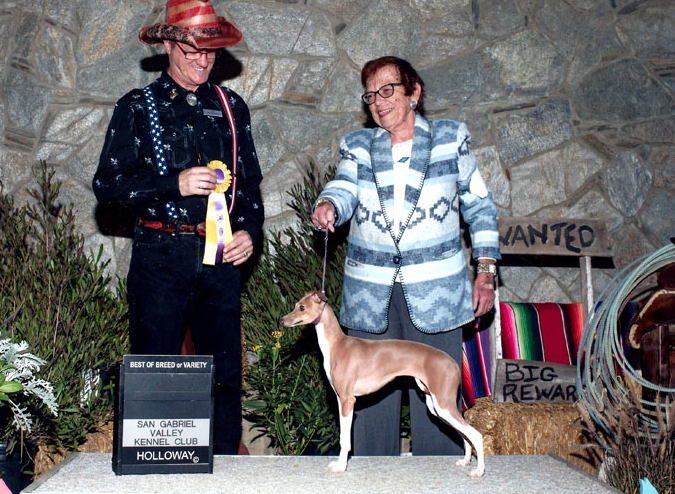 Past President of the Italian Greyhound Club of America and columnist for the AKC Gazette since 1975, Lilian has authored 4 books on Italian Greyhounds. Several are out of print, but if you can get one, we suggest you do it now. The links are below. 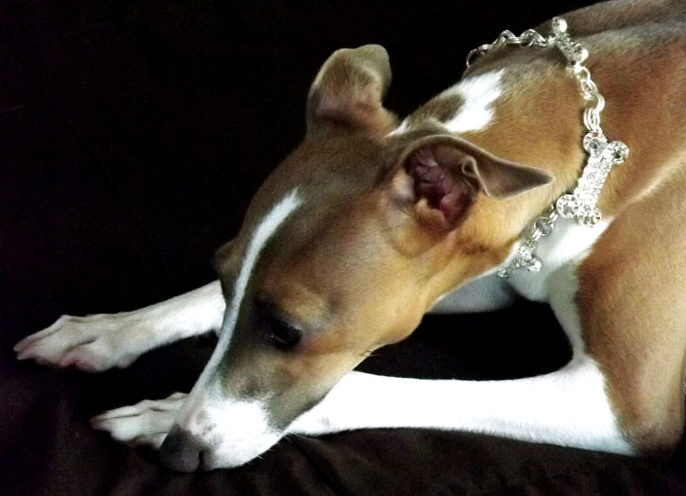 A must-have for the library of every serious Italian Greyhound fan.